Disable or Enable Thumbnail Previews in MS File Explorer Windows 10, this Solution is also suitable for Windows 8.1 and 7! Rather than thumbnail image previews of files and folders. Use this setting if thumbnail previews on Windows 10 are slowing down your computer, or if you do not need thumbnail. Disable or Enable Thumbnail Info! It is known that Windows Explorer can automatically display thumbnails for supported image file types (for example, JPG, PNG). This is definitely a useful feature, but there are times when thumbnails are displayed incorrectly (or not displayed at all). This may be due to a number of reasons (such as a large number of files). In any version of the Windows operating system, there is a functional ability to show the user a small thumbnail of all images, video files and documents, to make them easier to find on the hard disk using File Explorer. 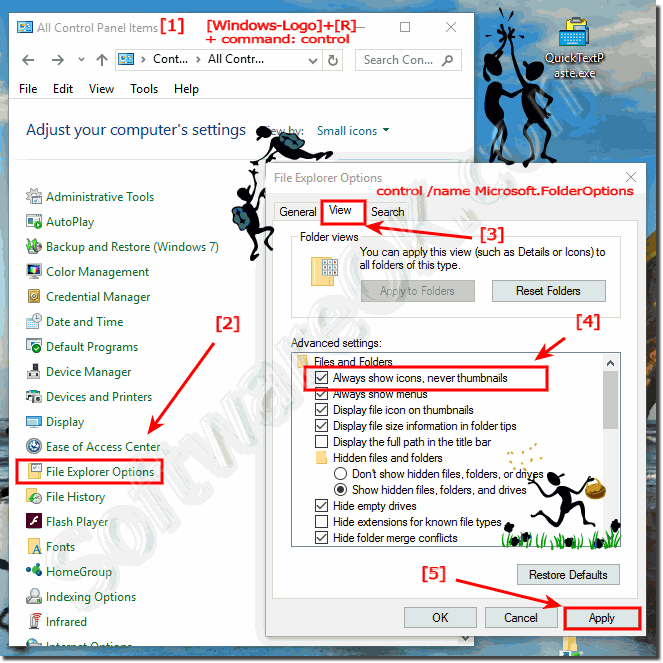 In order to speed up the process of displaying thumbnails, the system uses a cache file that is located in the hidden directory of the user profile.In the fresh Windows operating system version of Fall creators Update was a bug, because of which disappear miniature images of files after shutting down the PC. The system will recreate them every time, which will spend extra time, which depends on the number of media files on the hard disk. Windows-10 - FAQ-188: Thumbnail Previews in File Explorer on Windows 10, turn off on?